GARM, Tajikistan – Life can be hard in the remote Rasht Valley of Tajikistan. Residents face high levels of unemployment and chronic power shortages. Many women have little access to information about their own reproductive health, and essential health services, including modern contraception and maternal health care, are often out of reach. As a result, many women who want to plan their families are unable to. And with large numbers of local men working abroad, many mothers struggle to care for their children alone. Complications of pregnancy and childbirth are also a persistent problem. There is a traditional preference for home birth in the local communities, but even women who would like to give birth in a health facility say they lack support or transport when their husbands are away. Without a skilled birth attendant and ready access to emergency obstetric care, complications can prove fatal. But things are changing for the better. 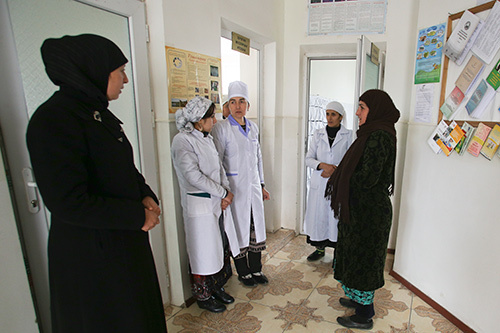 At the Rasht District Hospital, in the main city of Garm, a specialized reproductive health centre has been established to meet the needs of women and girls. The centre, supported UNFPA and the United Nations Trust Fund for Human Security, provides reproductive health care and family planning services free of charge. In the past, women were reluctant to seek care, fearing long wait times and high medical fees. Today, more than a dozen women fill the reproductive health centre’s crowded reception area. 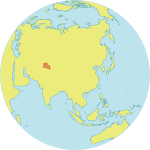 Women come here from surrounding towns, villages and even other regional cities, seeking information and free contraceptives, provided by UNFPA. As soon as women fill out a registration form, “we immediately direct the women from the reception [area] to a separate office, where we provide them with all the information they need about pregnancy,” said Mavlyuda Bobokalonova, the head of the centre. Women are counselled on the various forms of contraception available – including intrauterine devices, oral contraceptives, injections, implants and condoms – and are matched to the kind best-suited to their needs. The health centre also offers seminars on reproductive and maternal health, helping women better understand their bodies and needs. “We already have organized four or five seminars for women and youth with obstetricians and gynaecologists. People from as far away as Jirgatol, Nurobod and other regions of our country have also taken part in these seminars,” said Bakhtiyor Bobohojaev, head of the Rasht District Health Department. Between October and December 2014, approximately 200 women took advantage of the facility’s offerings, which are expected to increase with the opening of a special school for expectant mothers. Still, access to reproductive information and services remains a problem for women in the surrounding rural villages. To address their needs, the reproductive health centre also offers house calls. The team provides medical care and encourages pregnant women to deliver in health facilities, to ensure emergency care is available if complications arise. “Our hospitals are free, as are laboratory services,” said Dr. Bobokalonova. An ambulance service has also been set up by the Rasht District Hospital to handle maternal health emergencies in rural areas. Village health centres have also been established to provide information and consultations. These efforts are having an effect. According to the Ministry of Health and Social Protection, between 2012 and 2013, the district’s contraceptive prevalence rate increased by 4.3 per cent. 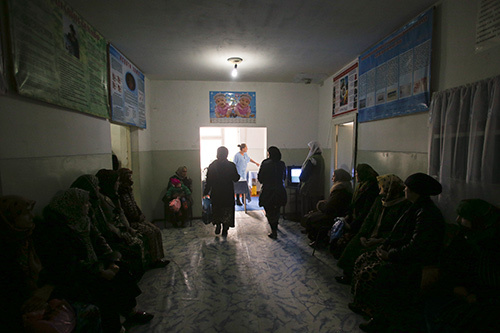 For Firuza,* 25, a mother of two, the new reproductive health services offer both essential care and peace of mind. “I know that if I choose to have a third child, I’ll have all the support I need from the reproductive health centre,” she said.